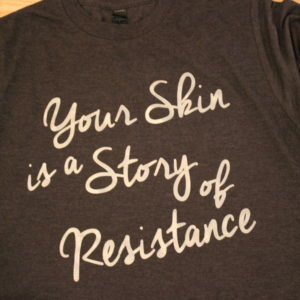 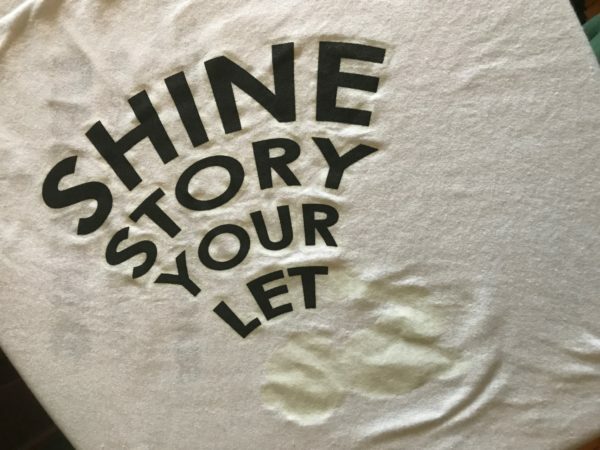 A super soft, glow in the dark, shirt! 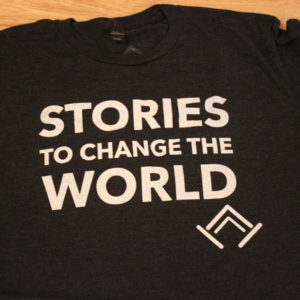 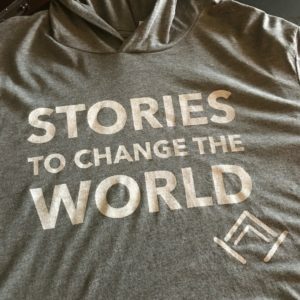 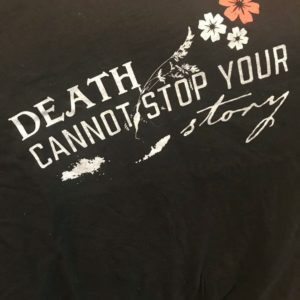 The front has a woman holding a megaphone saying “Let Your Story Shine”. 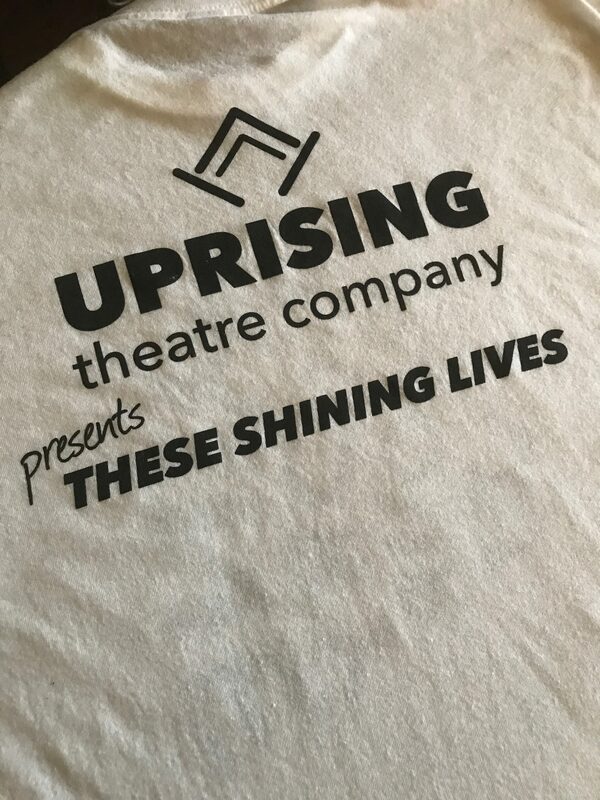 The Back says Uprising Theatre Co. presents These Shining Lives.